On February 9, 2018, officials from U.S. Immigration and Customs Enforcement (ICE), the investigative arm of the Department of Homeland Security, arrested Morgan Rockcoons (aka “Morgan Rockwell” or “Metaballo”), CEO at Bitcoin, Inc. and an entrepreneur behind several other bitcoin startups, at his home in Las Vegas, Nevada. Rockcoons was charged with money laundering and operating an unlicensed money transmitting business, according to court records. 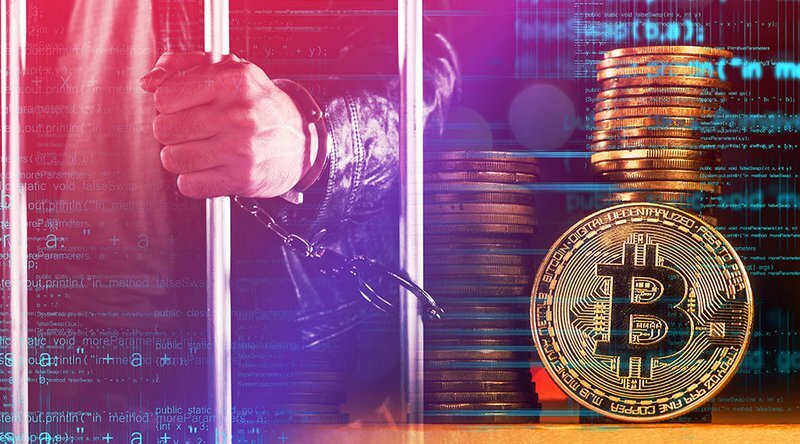 According to those same records, in Southern California, between December 30, 2016 and January 8, 2017, Rockcoons allegedly exchanged around 10 bitcoin (worth around $9,200, at the time) for $14,500 in cash with an undercover law officer. That officer allegedly told Rockcoons in advance that the cash came from the manufacture and distribution of “hash oil,” which contains tetrahydrocannabinol, a controlled substance at the federal level. Money laundering happens when a person takes ill-gotten money and turns it into “clean” money that cannot easily be tracked back to its source. Thus, if Rockcoons knew the cash was dirty, but traded it for bitcoin anyway, that would constitute money laundering. Rockcoons was also allegedly operating an unlicensed money-transmitting business in Southern California “from a date unknown” through August 30, 2017. Money transmitters are required to register with the Financial Crimes Enforcement Network (FinCEN). The warrant for the arrest was issued by the Chief Magistrate for the Southern District of California on November 8, 2017, which indicates it may have taken authorities three months to track down Rockcoons, possibly because he moved out of the original jurisdiction. In private messages with Bitcoin Magazine and a series of public tweets, Rockcoons, who is actively seeking donations to pay for his legal fees, which he expects to be between $150,000 – $300,000, tells a different story than what is reflected in court records. Where the court document says that the the cash given to him was already dirty, he claims that bitcoin he sold to the buyer became dirty after it left his hands. Both Rockcoons’ tweets and his subsequent communication with Bitcoin Magazine seemed to imply, initially, that he had no idea he was selling bitcoin to a law enforcement officer. According to Rockcoons, the exchange took place in November 2016 (not the first week of January, as listed in court records) while he was living in Northern California (not Southern California, as the records state). Rockcoons said the buyer found him through LocalBitcoins, an online platform that facilitates direct selling of bitcoin. A user can register as a seller on the platform and be contacted by interested parties. Transactions are done in person or via online banking. Rockcoons claimed on Twitter that he received $9,200 for the bitcoin, though court records allege the law officer gave him $14,500. Rockoons later told Bitcoin Magazine that he specified to the buyer he wanted less than $10,000, but the buyer insisted on sending him $14,500. After agreeing to the terms of the sale online, Rockcoons claims he received a cash payment. He described this payment, in his communication with Bitcoin Magazine, as being received in an envelope sent through the mail. He has not replied to requests for clarification as to whether or not he met with the buyer in person, though he did say that he and the buyer communicated via text messages. At the time of the exchange, he was camping in the Mendocino National Forest, where he was living in a tent and working on a new project, a voice-operated Bitcoin wallet. Rockcoons said he had been living in the Northern California wilderness since 2015; however, fire and floods were making it increasingly difficult to survive in the area. After another fire ravaged the land, he said he needed cash for evacuation emergencies. “I was living like a mountain man, so I didn’t really need money but eventually I needed to buy food so I decided to sell some coin; when someone asked me to buy some I usually just always turn it down but I needed cash to eat,” he told Bitcoin Magazine. He claims the fires were what eventually forced him to move back to Nevada. After his arrest in Las Vegas on Friday, February 9, 2018, Rockcoons was locked up over the weekend in Henderson Detention Center in Clark County, Nevada, for three days. He pled not guilty at a Federal Court hearing on February 12, 2018, and was then sent to Clark County Detention Center for two more days for an unrelated charge of failure to appear on a traffic ticket. In his series of ongoing tweets since his release from jail on February 14, 2018, Rockcoons has been portraying the charges against him as an attack on Bitcoin. “It’s not my mess, it’s everyone on Earths [sic] battle now or you can kiss your access to BTC goodbye,” he wrote in one tweet. “This is a attempt to redefine the regulation and the law,” he told Bitcoin Magazine. Rockcoons is also claiming he was targeted due to his relationship with the state and the federal government and his Bitcoin-related startups. Because of my relationship with the State & Federal Government as well as my relationship with the US military, because of my involvement in creating @BitSwitchIO at @BitcoinKinetics and possibly the opportunity to pull a @CharlieShrem case in California to get the west coast. He is looking to others to join the “battle” with him, and he is even asking the the Bitcoin Foundation, a non-profit organization that supports Bitcoin adoption and education, to cover 15 bitcoin (worth around $150,000) of his legal costs. “It seems to me the Bitcoin Foundation has been absent from the Bitcoin Community during troubling times, this would be a good opportunity to show face and show the community that you’re here for all of us,” he tweeted. Rockcoons’ arraignment is on February 22, 2018 at the San Diego Superior Court in California. He has hired Las Vegas criminal attorneys David Chesnoff and Richard Schonfeld to represent him. He says he plans to pay them in bitcoin.